NEW YORK (March 3, 2016) – The National Organization on Disability (NOD) board and staff today welcomed Ilene Moskowitz as the organization’s new Chief External Affairs Officer. 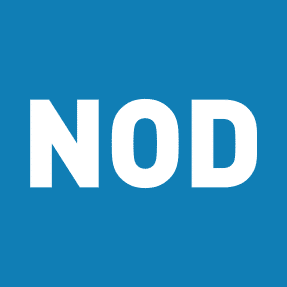 In the newly created role of Chief External Affairs Officer, Moskowitz will lead the creation of marketing and communication strategies centered around the mission of NOD, drive strategies to increase corporate partnerships and grow the number of companies using NOD’s professional services, and oversee fundraising to support NOD’s innovation agenda. Prior to joining NOD, Moskowitz held positions including the Director of Marketing and Sales at Grant Thornton LLP, Americas Marketing Leader for PricewaterhouseCoopers LLP’s Financial Services practice (now PwC), as well as Head of Marketing & Strategic Planning at Bank Leumi USA. More recently, she served as marketing and communications consultant to organizations such as the Museum of Jewish Heritage, the American Lung Association, the Metropolitan Opera Guild, and Harlem Academy in New York, where she lent her talents to marketing and brand strategy and donor cultivation, among other areas. Moskowitz is a graduate of Cornell University and Columbia Business School.